I have been an admiring listener to “The Sunday Edition” for many years. You bring an informed and compassionate light to bear on Canadian and world issues, and as a Canadian concerned with democracy, equality and human rights, I appreciate your commitment to these basic Canadian values. As a Canadian Jew, I appreciate your concern about anti-Semitism. Like you, I was appalled by the crude anti-Semite whose letter you cited on Sunday, Jan. 28. The person had apparently written several times complaining about “Jewish content” on “The Sunday edition” (“just Jews and jazz”). 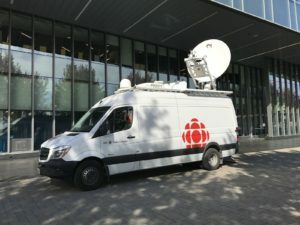 Your powerful response to that letter, “Anti-Semitism is not just going away; it’s growing,” warns about the danger of anti-Semitism in Canada, which you describe as “in large measure…a hatred of Israel.” To support your claim that anti-Semitism is a growing problem, you cited information from a B’nai Brith study reporting a total of 1,728 incidents of “anti-Semitism” in Canada in 2016, an increase of 26% over 2015 – a shocking statistic indeed. According to that report, 11 incidents involved some level of violence and 158 involved vandalism. However a careful reading of that B’nai Brith report shows that these incidents of violence or vandalism against Jews or Jewish institutions have sharply declined over the last five years. What has increased are reports of “harassment” of Jews. Here is the crux of the matter. I am a non-zionist Jew and I do not support the idea of a Jewish state. I am also a member of Independent Jewish Voices Canada, an organization that believes in democracy, in equality for all, in Israel as in Canada. Along with thousands of other Canadians, Jewish, Muslim, Christian and unaffiliated, we support the international call to boycott Israel until it respects the three democratic demands of the BDS movement: an end to the occupation, equality for non-Jews living in Israel, and a just solution for Palestinian refugees. That means that every time I say this, write it or attend a demonstration, B’nai Brith can report it as an anti-Semitic “incident.” B’nai Brith should brace for more anti-Semitic “incidents” as the BDS movement continues to grow. But to call them “anti-Semitic incidents” is utter nonsense. Many Canadians, including Jewish Canadians, support BDS, driven not by antisemitism but by a sense of justice and a commitment to equality and democracy. Their support for equality makes them opponents of Zionism, which proposes a Jewish state as a way to defend Jews. The Zionist notion of protecting Jews by creating a Jewish state in the middle of the Arab world, expelling most of the people living there and refusing refugees the right to return, while giving Jews more rights than non-Jews, is not a good approach. It is a recipe for continual friction, pain and strife. The only lasting approach to protecting Jews is the same as every other minority – a culture of tolerance. Supported by a strong legal framework. Ironically, while antisemitism was the kindling for Zionism in the 19th century, today it is Zionism and its claim to an exclusive Jewish state that are the fuel for what B’nai Brith calls antisemitism.